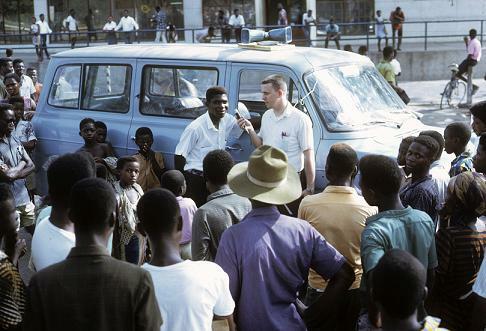 I learned many things from my first trip to Ghana, West Africa in 1969. The most frustrating lesson is this. You can share your experience, but you can’t share the experience. When you see a picture or hear a report you are only participating in the experience of another. You can’t hear the chatter of hundreds of people speaking another language. You can’t smell the diesel exhaust, the unforgettable stench of garbage rotting on the streets, open sewers. You can’t feel the oppressive heat and humidity. sun and blows across the Sahel of West and Central Africa from the dust storms from the Sahara. They call it Harmaton. 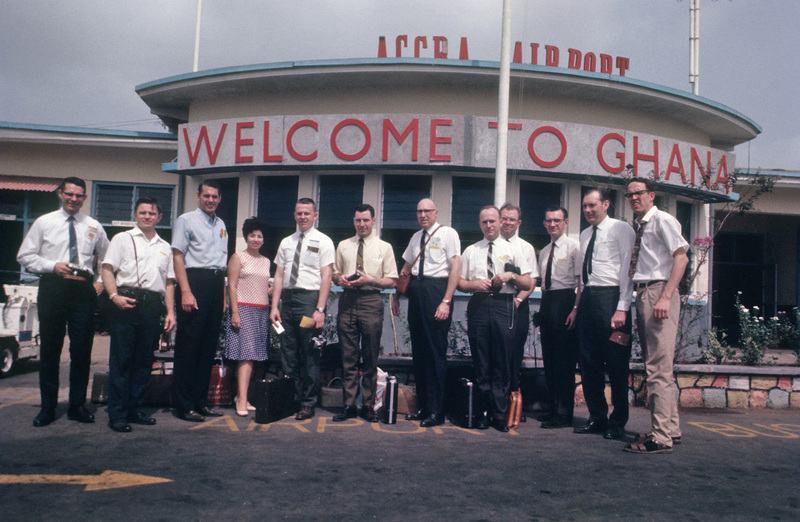 That first visit to Ghana many years ago changed me forever. I have never been the same. When I view pictures of suffering and need in the world my heart aches for something to be done. Today the words of Jesus resonate with me, “When he saw the crowds, he had compassion for them, because they were harassed and helpless, like sheep without a shepherd.” Matt. 9:36. You can see with eyes of compassion. In his book, “Unfinished…Believing is only the beginning”. Richard Stearns speaks of the two kingdoms the people of the world live in. One is “The Magic Kingdom”. This kingdom is filled with all of the blessings that most of us in the West experience everyday of our lives. Millions go to bed hungry each night. One billion are chronically short of food and are slowly starving to death. 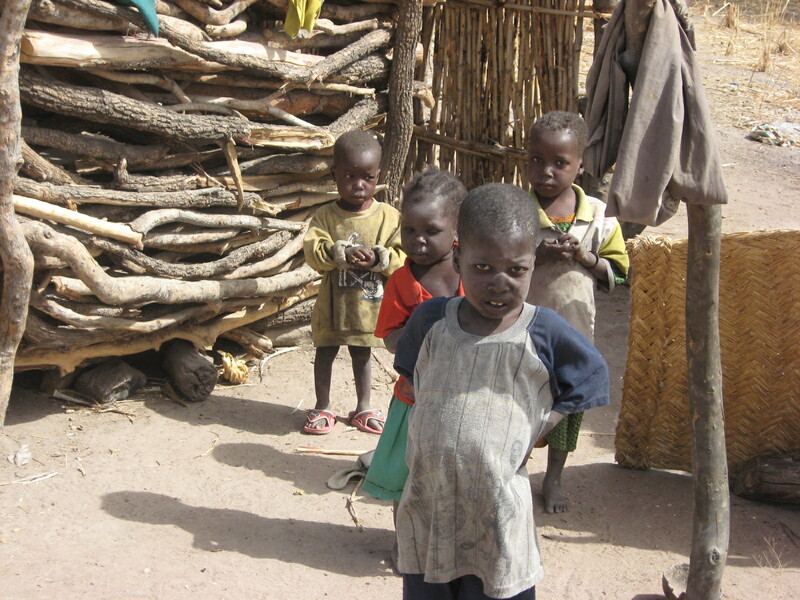 Two billion children are underweight or stunted. 783 million in “The Tragic Kingdom” have no access to clean water, not a drop. They walk miles each day to dip their buckets in filthy, bacteria-ridden water that makes them sick and kills their children. And, finally, the most terrible statistic of all: nineteen thousand children under the age of five die every single day of largely preventable causes simply because they are poor. That’s almost 8 million children every year, one every four seconds. (These statistics taken from page 49, “Unfinished” by Richard Stearns). This is something that God sees every moment of every day. To us it seems hopeless. It isn’t! We often feel helpless. But there is a solution! “If Christians all gave a tithe; the US church would have an extra $168 billion for missions and service. The cost to give the whole world primary education, clean water, and basic health care and nutrition would cost just $28 billion. Think how the world would change with the resources to share the good news!” (Richards Stearns Facebook site). If that is true, and I believe it is who is ultimately responsible to do something about the suffering in this world? What group of people should care more than those who have been bought by the precious blood of Christ? When people ask, “Why doesn’t God do something about all the suffering in the world?” His “silence” is because He has already spoken. We are His hands and feet, His ambassadors, His children. We have been blessed with the means to do it, so what is the problem? No single person, church or organization can do it alone, but working together we have been given everything we need to do everything He asked of us. So it is not a matter of ability, it is a matter of will. I have seen with my own eyes what can happen when just a few people who know they can’t do everything, decided to do something. Hope Springs International was born out of exposure to an urgent need, an S.O.S. Hundreds of people, mostly children, were dying. Over 100,000 people have access to clean water. 60+ orphans are being cared for. Hundreds of lives have been saved, and many more are being saved because they have access to medical care. Over 600+ students are receiving an education they only dreamed of a few short years ago. So let me close by asking, “Who is blessed more, those who receive or those who give? 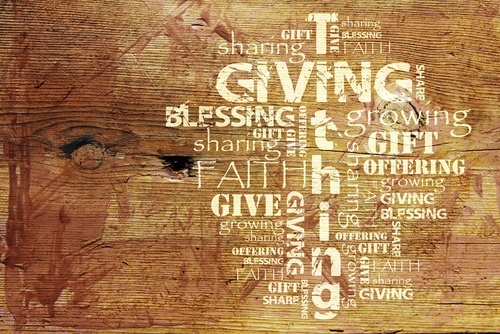 According to Paul, Jesus said, “It is more blessed to give than to receive.” (Acts 20:35). I know this to be true from personal experience. Many of you reading this know this to be true also. But there are many more who will never know the truth until they put the words of Jesus to the test. Categories: Children, Clinic, Giving, Tithing, Water, Well Drilling, Well Repair | Tags: Clinic, Dispensary, New Wells, Orphans, Wells | Permalink. I love it when God shows up and shows out! 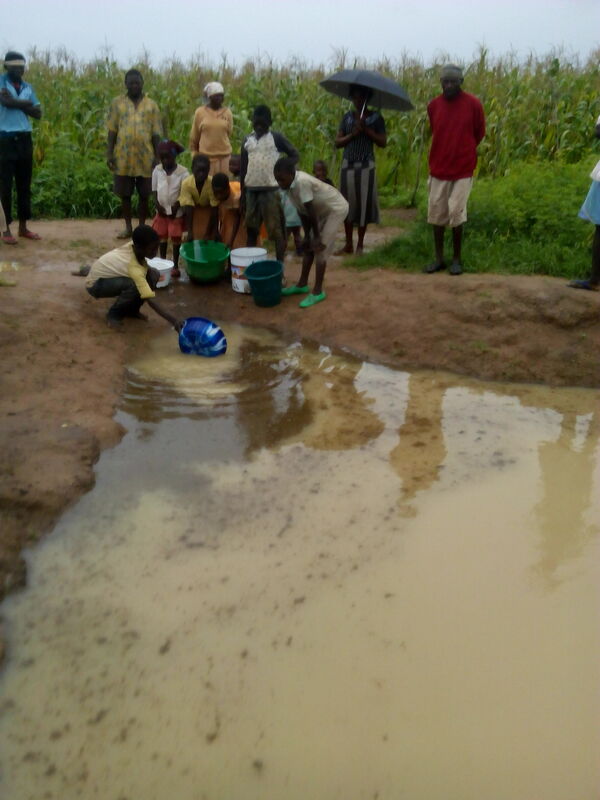 This shallow pond is the only source of water for this village. Not only did we receive the $558.83 for the third well, we have $500. for well #4! (Here is the back story). Families and their animals share this water source. sake of others. There gifts do more than provide water and feed orphans, they are transferred to the bank of heaven and credited to their account. Jesus said giving down here is laying up treasures in heaven. 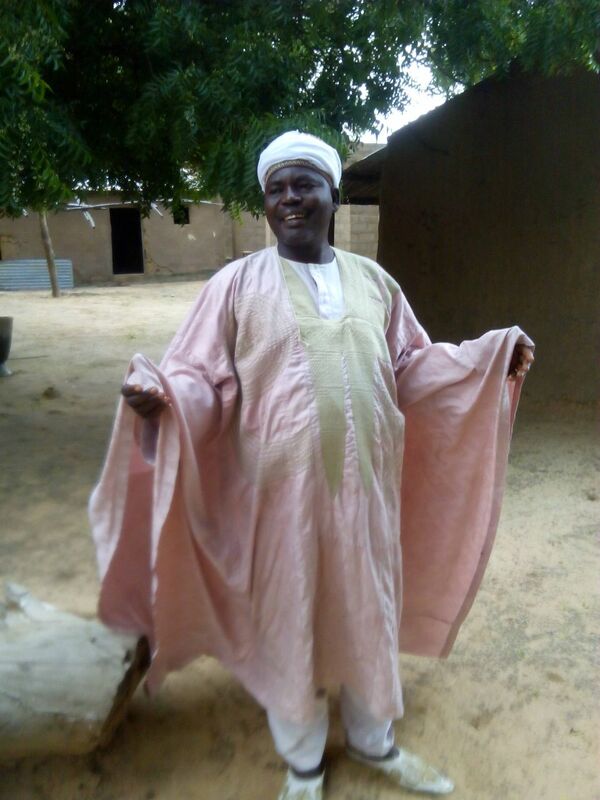 More pictures and stories to follow on wells 2 and 3 in Gombe State, Nigeria. It is all about lasting change, one village at a time! Categories: New Wells, Water, Well Drilling | Tags: New Wells, Nigeria, Water, Wells | Permalink. Help Us Make It THREE Wells! Smiles from the first well will be increased by the thousands! Earlier this month I told you about a special opportunity we have to drill 4 to 6 wells in Gombe State, Nigeria for only $3000 each. 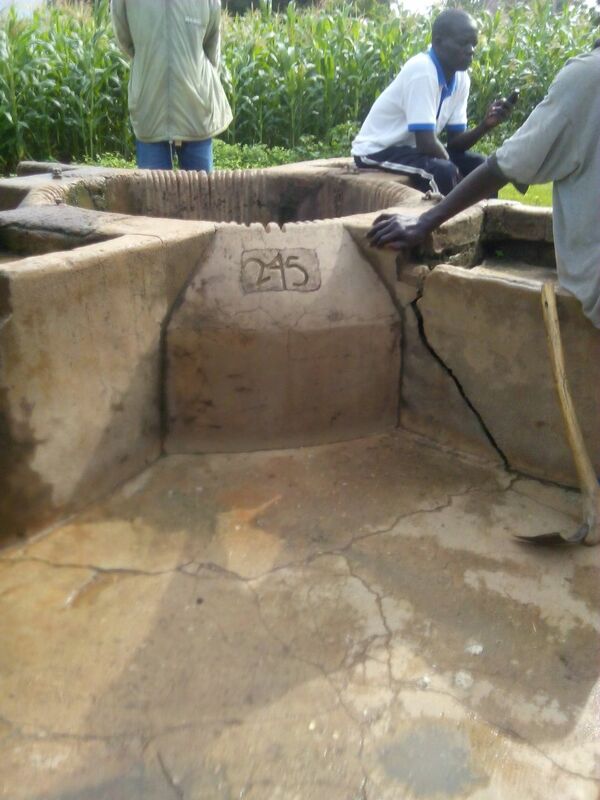 The first of those wells is pumping crystal clear water for the Sansani Village. Funds have now been made available for a second well and we are only $558.83 away from having enough to drill a THIRD well! I will be making the wire transfer of funds for the second well on August 29th. We are asking God to use someone(s), a church, Bible class, or business to help us with the $558.83 balance we need for the third well so we can wire these funds also. Will you help us spread the word? Donating is easy. Click HERE and then the DONATE button. Or because of the short time if you donate by check to 118 Wessington Place, Hendersonville, TN 37075 also send me an email and let me know your check is in the mail: leehodges45@gmail.com. YOU CAN CHANGE THOUSANDS OF LIVES WITH JUST THIS SMALL AMOUNT! Categories: New Wells, Water, Well Drilling | Tags: New Wells, Nigeria, Portable Well Drilling Rigs, Water, Wells | Permalink. I am getting a serious education on just how much stuff you can get in a 20ft. shipping container! 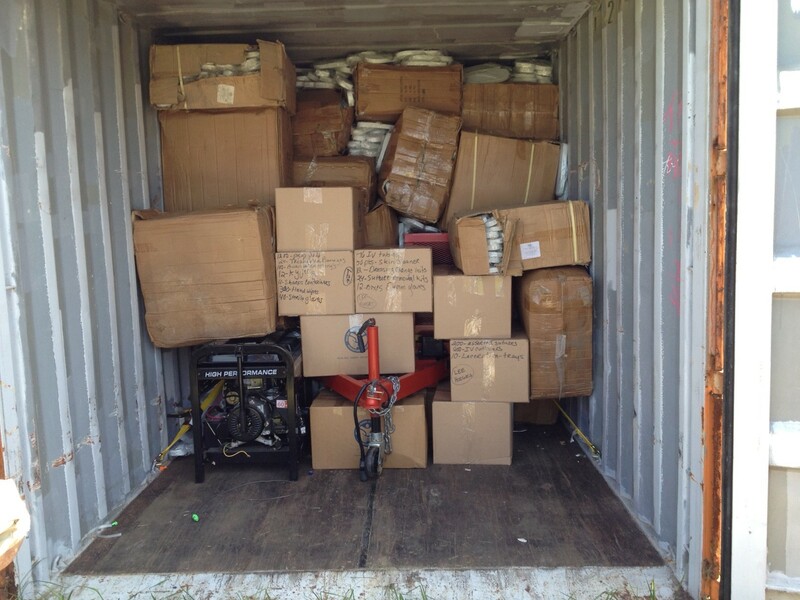 After loading 7 pallets of flip flops (3700+ pair) and 8 large boxes of additional medical supplies from Healing Hands International we STILL have 6 or 7 feet of space to fill. AMAZING! A big thank you to Dalvin, Missy, and Elija Pirtle, and two of Dalvin’s employees for helping to get this trailer and truck load of supplies into the crate. You guys ROCK! We have to get this trailer loaded no later than the end of August. If you have ideas, we have space. Drop me a note: leehodges45(at)gmail(dot)com or 615-390-2134. Categories: Chad, Dono-Manga, Flip Flops, Shipping Crate | Tags: Chad, Dono-Manga, Flip Flops, Jordan Health Center, Shipping Crate | Permalink. A recently drilled well in Sansani Village was made possible by a generous gift from a wonderful Christian lady in Texas. 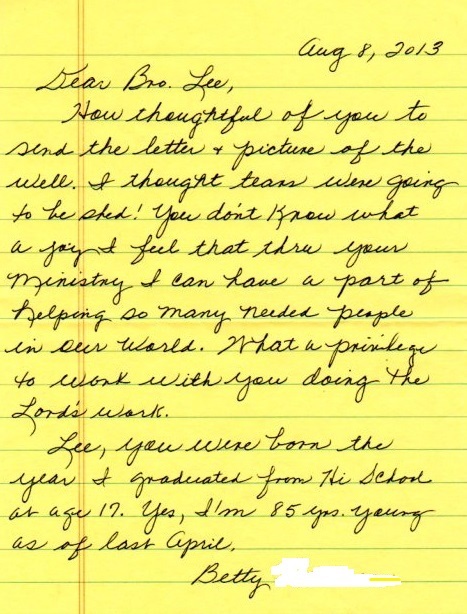 Here is a note I received from her after she learned of the completion of this well. (You may need to click on the note to read it). I believe there are many others who would be willing to follow Betty’s example… if they only knew of the opportunity. Many churches or members of a Bible class would band together to do the same… if they knew about this opportunity. Will you take the lead and help spread the word? Your efforts will bring lasting change to thousands of lives. Where else can you change a life for only 20 cents? 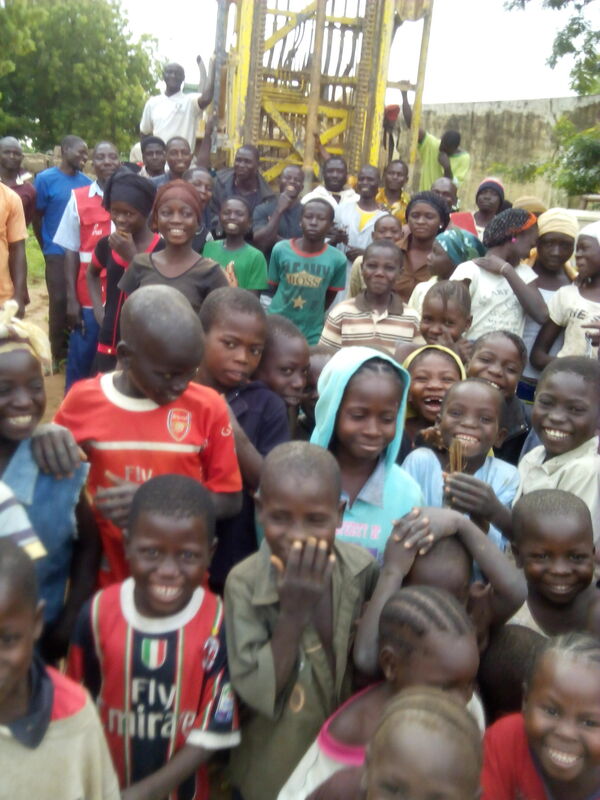 The smiles on their faces as the well drilling rig came to the village said it all. Our prayers have been answered, praise God! 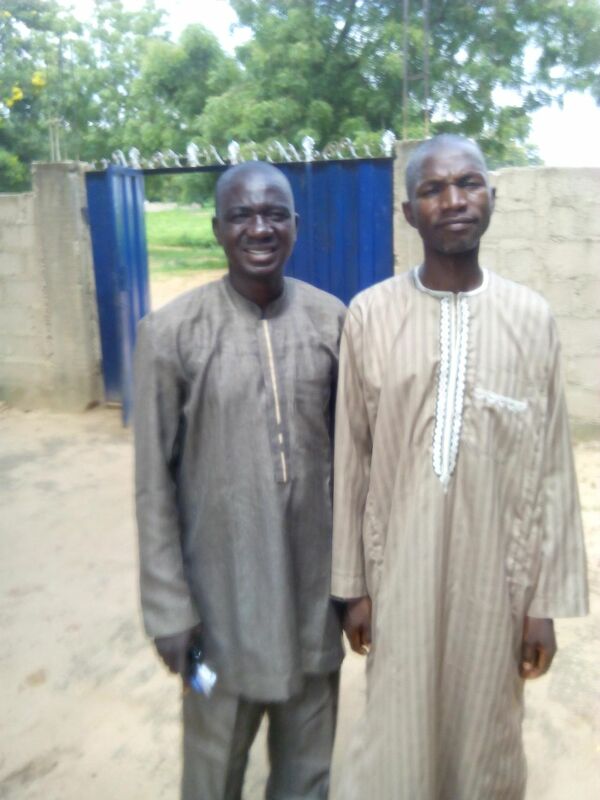 Rambi and Yusuf Solomon Pastor of the ECWA Evangelical Church. an agreement with the local drilling company to drill wells in 4 to 6 villages for only $3,000 each. The $3,000 dollar price is half the normal charge of $6,000. 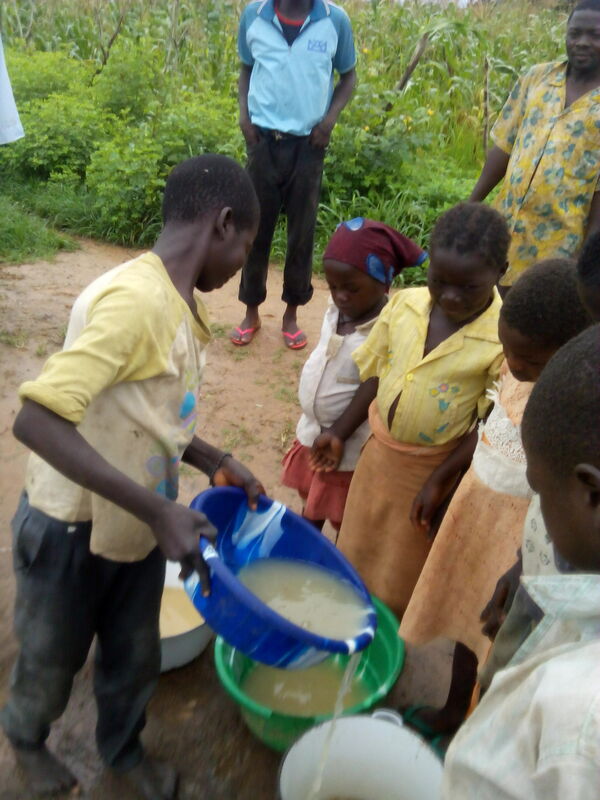 The targeted villages are those with the greatest need for clean water. Due to the generosity of a lady in Texas we began drilling the first well in the village of Sansani on August 5th. This village and surrounding areas have a population of 15,000 people. Their only water source before we arrived was a shallow well dug by hand in February of 1945, 4 months before I was born, 68 years ago. 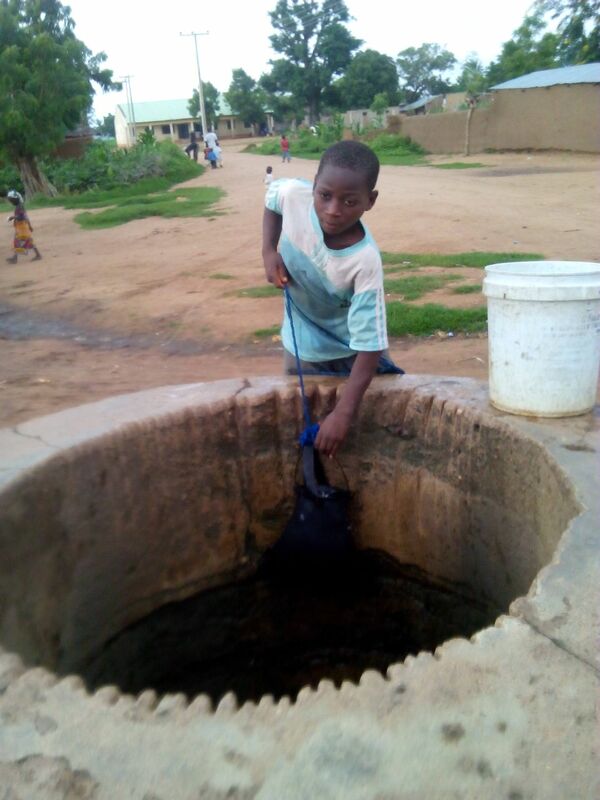 This shallow well was often contaminated by seepage of unclean ground water resulting in sickness and death. I received a phone call from Rambi this morning (August 6th.) 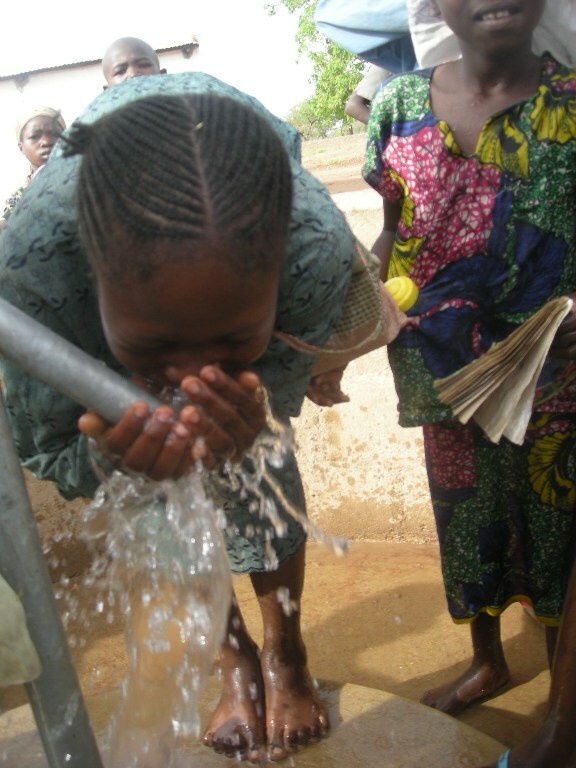 with the news that the well is finished and clean water in available in Sansani Village! The drillers worked through the night and finished at 3:30am. The new well is sealed and has a hand pump. This is so much better that the sections of inner tubes sewn into a makeshift bucket lowered by rope and them drawn up by hand. The other villages needing a well are of similar size and are faced with the same challenges as the people in Sansani Village. 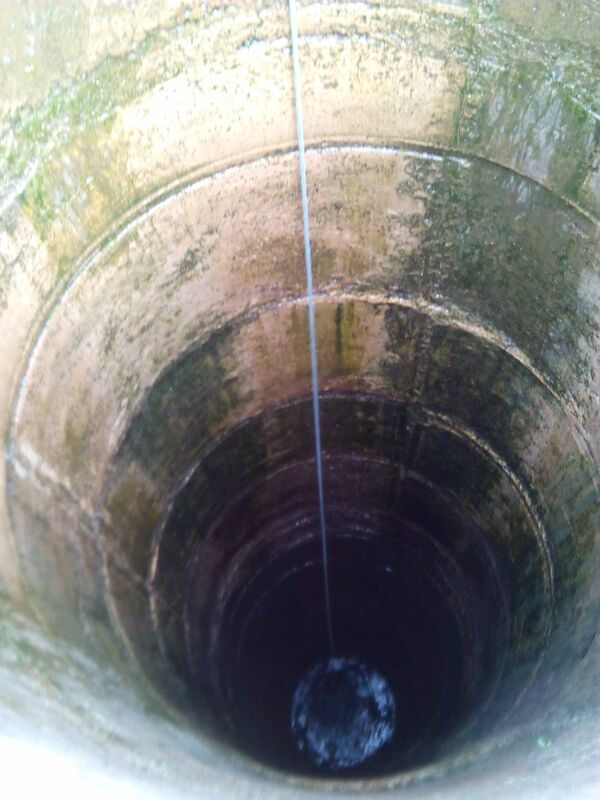 The old well. Notice the rope notches in the concrete. thousands of people in need. There are many ways to help but one of the greatest is to make a donation yourself and then spread the word to your friends, your church group or neighbors. All donations for wells will be used for wells. You may give at our website: www.hopespringsint.com or by mail to Hope Springs International, 118 Wessington Place, Hendersonville, TN 37075. Where else can you change a life for 20 cents? Categories: New Wells, Poverty, Water, Well Drilling | Tags: New Wells, Nigeria, Portable Well Drilling Rigs, Water | Permalink.